Last night, CNN wasn't just covering the mid-term elections. It was also pimping the Surface Pro 3, conspicuously placing a kickstand-ed unit in front of a bunch of its commentators. The catch? They were actually just being used as iPad stands. 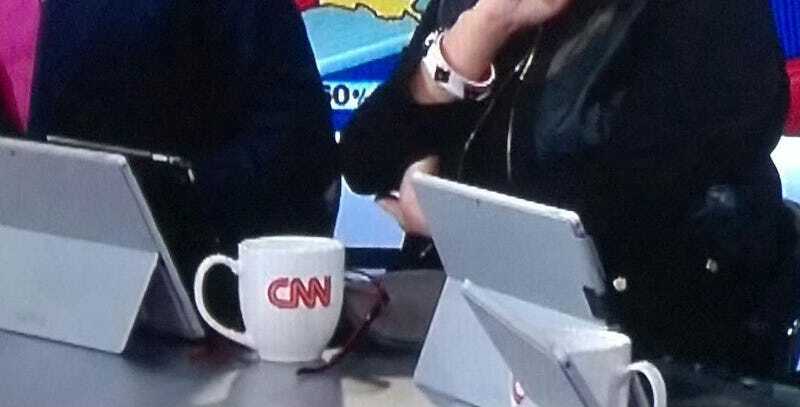 As GeekWire points out, a few eagle-eyed viewers pointed out that behind every Surface Pro 3, there's an iPad running the show.